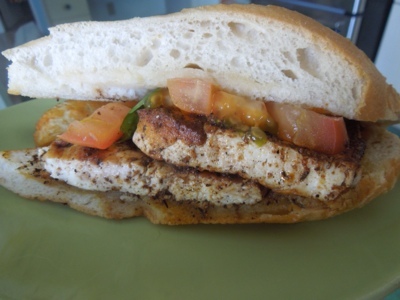 the Blackened Tofu Sandwich carried out from Virgilio's. Phenomenal. That picture of thumper might be the cutest thing I've ever seen! So adorable! 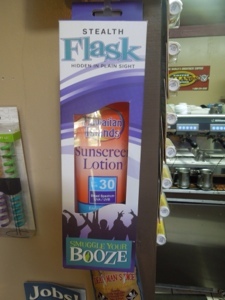 I love the flask, that is quite clever. The muffins look delicious. If you find them again you should stock up and fill the freezer :) the flowers are so pretty! I have tried looking for the muffins to stock up, but i guess they were a one time only thing. That is how it is down here. 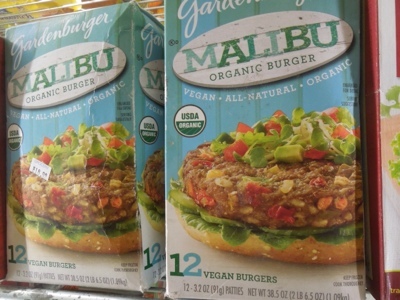 I've never heard of the Malibu burgers from Gardenburger. I haven't had a Gardenburger product in years! $18.99 is way too much in the first place, let alone when you don't know if it's good! That was a super interesting article, I really hope that maybe someday soon some of that stuff will change, which might make some stuff more affordable. Some of those prices are shocking, and seem like a joke. Those flowers are so beautiful, I've never seen anything like them! 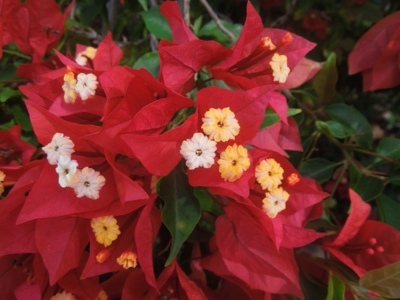 They look almost like poinsettias with little flowers growing out of their buds! So gorgeous. Why can regular Gardenburgers just be vegan? so dumb! I got so caught up in the article and the flower and Thumper, I forgot to say that the sandwich looks delicious, and also that flask is hilarious, and also a really excellent idea! Ahaha part of the fun of drinking is feeling like you can sneak it. 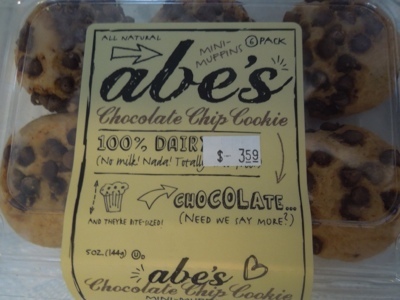 I love those Abe's muffins! Do they have any other flavors down there? And yes that sandwich looks fantastic. Yep, nothing better than spiking the punch bowl. Abe's has come and gone, alas. I hardly knew him. That's a big box of gardenburgers! And painfully expensive.... Why do you need a theme to post?? Write whatever you want! 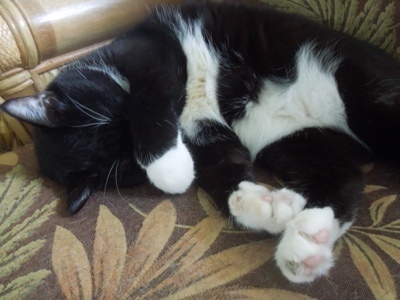 That photo of Thumper is The Cutest Photo Ever. Stinking adorable. All posts must have a theme! And a sentence at the end to wrap things up! That is just how it is. I wonder how one makes a blackened tofu sandwich. 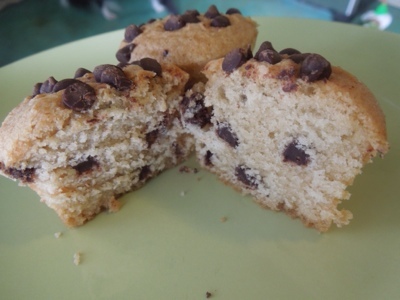 Our beloved Clare & Don's needs to ship both of us a few of theirs, and the recipe! I love searching for hidden treasure. Yeah, I figured I would never have another Blackened Tofu Sandwich again, but now I have one that is double the size of Clare & Don's and on French Bread. Once you've taken in the unique décor at this place, the hardest part is to decide whether to go upstairs or downstairs. With a large open floor plan, you'll find bars on both levels, and at LA venues someone will always come by to serve you matter where you decide to hang out.